With FACTON Enterprise Product Costing (EPC) you will make the right decisions and stay globally competitive. With ever-changing momentum in world markets, supply chain complexity is increasing - especially for global companies. With FACTON EPC, companies can achieve the highest levels of product cost transparency across all stages of the product lifecycle, despite all the challenges. As a result of clear costs, efficient processes and precise calculations, sound and forward-looking decisions are made in the shortest possible time. Companies increase their productivity and thus ensure their profitability. The FACTON EPC Suite is the leading enterprise product costing (EPC) solution for the automotive, aerospace, engineering, electronics and medical device industries. It is the standard software for every employee involved in planning, conception, calculation and marketing. The modern and future-proof software solution for product costing and profitability analysis: specific solutions depict the central costing processes and fully meet the requirements of top management and individual departments across the company. The coherent service offering: the right combination of consulting and software implementation makes the difference in the transformation to a future-oriented corporate management structure. An expert group of international customers, partners, supporters and highly qualified employees: FACTON is the innovator for Enterprise Product Costing. 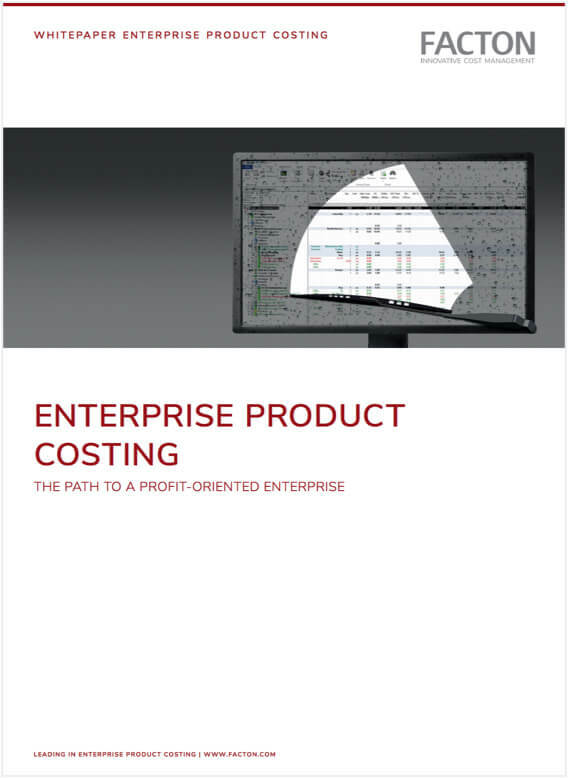 Learn how all departments work together using unified standards based on the established Enterprise Product Costing (EPC) approach. Development, product and manufacturing costs are transparent across all phases of the product life cycle. See cost-cutting potentials at an early stage.